By creating an easy to read, easy to print form in Adobe Acrobat, we offer a cutting edge solution that anyone can use. 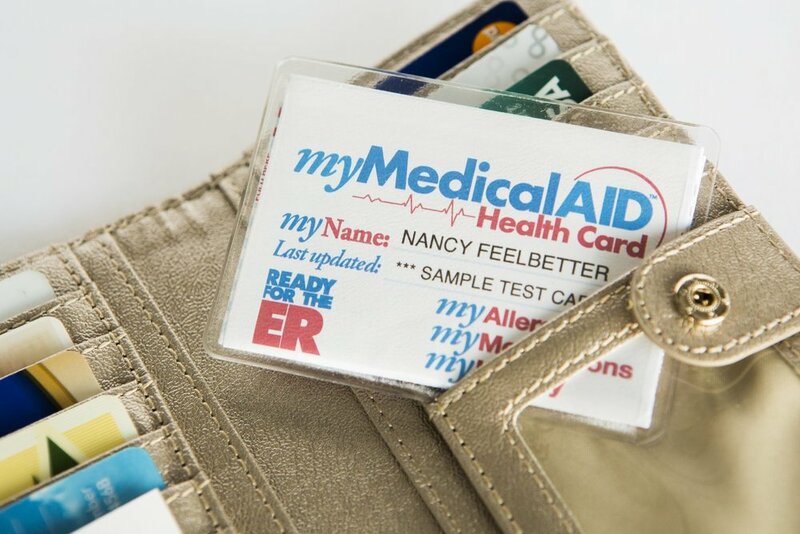 A snapshot of your medical information in your wallet, when that's all you may have in a disaster. Help the medical professionals help you in an emergency with a My Medical Aid Health Card™ that can save your life. One of the most important things you can do for yourself and family member is to have a patient advocate in case of an emergency. This info can save your life! Smart phones are a great, secure place to store your medical information and access it in a snap! But what happens during a national disaster? No power for days or even weeks? Our card was designed to be kept on your phone, computer or tablet, but it is also printable and foldable to fit in your wallet! Old school meets new school and we've got you covered! All of your important medical information on an 8.5″x11″ sheet of paper. The My Medical Aid Health Card™ is a portable health care record that will assist patients, EMS, emergency staff, doctors, intake personal and hospitals in assessing personal medical records in a timely and efficient manner. 8.5″x11″ one sided card and folds down to 2″x3.5″ and can be placed in your wallet. Tap, Type, Save or Print. The My Medical Aid Health Card™ Download (Version 4.0) allows you to fill out your My Medical Aid Health Digital Snapshot™ and save it on your smart phone, computer or tablet. Once saved, you can update and print it out as many times as you wish. You can also email it to family members, doctor's or ER. Being typed allows your information to be more legible for medical staff to read. See “SHOP” for more details. My name is John J. Genovesi, CEO of My Care 101, LLC. I founded My Care 101, LLC to help other families prepare for medical emergencies and hospitalizations. My passion came from my mother’s horrific illness that started in1995 and lasted 14 years. During that time, Mom had seventeen surgeries, debridements, allergic reactions, fractured wrists, angioplasty, and blood clots to her liver, lungs, kidneys, and both legs. Mom was brought to the ER and was mis-diagnosed and this started her horrific journey. It wasn’t the flu as indicated in my ebook now available in our mycare101.com store; “Are you Ready for the ER?” ebook pdf. I am not a medical professional, but a health care researcher and professional business consultant for over 44 years and now working everyday to help make our health care system better. I founded My Care 101 to help people prepare for medical emergencies by taking an easy, affordable, self-managed, common sense approach under the supervision of their primary doctor. I strongly feel we need to take a “back to basis” approach to healthcare. We need better communication between health care professionals and patients. It’s time to work with each other. It is also time that patients need to take a pro-active stance with regards to their own health care. I am a past director of a drug rehabilitation center, have worked with families, police departments, courts, hospitals, home care, assisted living centers and ER’s over the years. My experiences share the devotion in helping families prepare for the journey of an emergency trip and hospitalization. 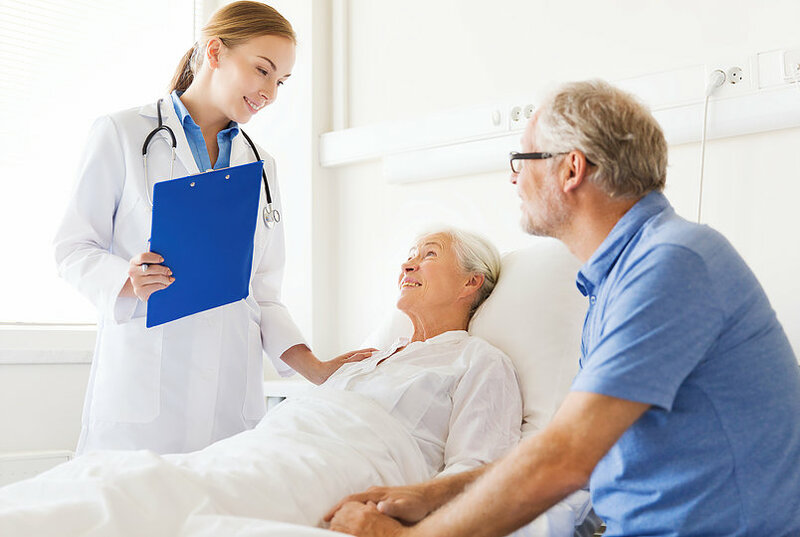 My Care 101 helps the professionals help you and your family prepare for medical emergencies and hospitalizations. The ER staff and myself believe that the more information the patient provides in a systematic way, the easier it is to provide proper treatment in a timely manner and reduces errors. Research shows that "patients who are more involved with their care tend to get better results.” And that can save lives.